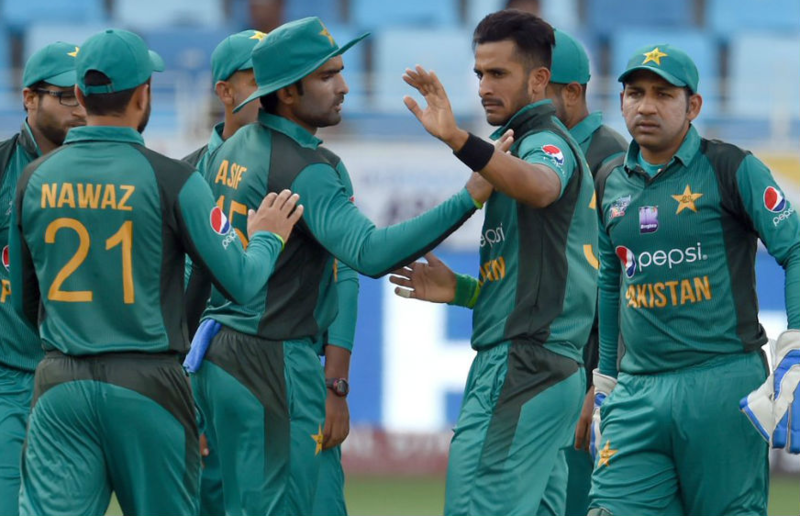 In his latest blog for PakPassion.net, Pakistan bowling coach Azhar Mahmood explains the reasons for his side’s dismal display in the recently concluded Asia Cup tournament, his high hopes for a bright future for Shaheen Shah Afridi, explains why he thinks an international break will help Mohammad Amir and looks forward to a tough and competitive Test series against Australia. The Asia Cup campaign did not go well for us and we did not perform as expected. I feel that a part of the problem for us was the inability to deal with pressure but also our failure to perform well in all three departments of the game cost us dearly. Our batting had numerous failures and very surprisingly, our bowlers failed to strike early and a part of that is due to the catches we dropped. What people must understand is that we are a young side but it is also important that we learn from our mistakes, so we can improve ourselves in the future. To many who looked at our performances, it appeared that the team was listless and flat but then one would expect that when we were unable to take wickets and dropped catches on a regular basis. However, I can assure everyone that the team did not lack in enthusiasm during this tournament. We continuously worked very hard on our fitness and skills, but the fact is that after the loss to India in the group stage, we came under intense pressure and we did not handle that well. So, the expectations of success and the pressure in the tournament took a toll on a side which all said and done, has inexperienced players in it. But, like I said, this is a great chance for all of the players to analyse their mistakes and put them right for games they play in the future. In a strange way, the successes we had prior to the Asia Cup had an effect on how we reacted to some setbacks. When you have been winning for a while, you tend to forget how to pick yourselves up and make a comeback after a loss and this is what happened to us. Let me say that there is a steep learning curve to overcome not only for the players but for all of us including the team management and coaching staff. I am sure we all remember how after the loss to India in the first game in the Champions Trophy we were able to bounce back but that was due to the winning momentum which we sadly failed to build in the Asia Cup. There was some undue criticism of our fast-bowlers especially Usman Khan Shinwari, who I feel bowled well. The real issue was that the pitches were slow and not ideal for fast-bowlers and most importantly we failed to perform in the spin department. Shadab Khan had a slight niggle so his effectiveness was limited, and this hurt us a lot during the middle-overs where we failed to take wickets, especially when our fast-bowlers were not effective in their opening spells. This was crucial for our ability to stop the opposition from scoring runs and we were not successful in it. We were let down by players who we were relying on to take on the opposition. So, the key players like Fakhar Zaman, Babar Azam, Shadab Khan, Hasan Ali and Mohammad Amir failed to put in the types of performances which could have changed the outcome of games. The batting in particular disappointed us immensely when we were bowled out for 162 against India which really put too much pressure on us. It could be said that we lacked confidence and possibly started to doubt our own abilities but to be fair to our team, these things can happen to the best sides in the world. If one looks at our record since the Champions Trophy we have by and large been a successful side. Now, people say that the quality of opposition we faced in recent months wasn’t that high and we hit a brick wall when faced with tougher sides during the Asia Cup. My answer to that is simply that we also encountered tough oppositions in the Champions Trophy but there we saw how we peaked at the right time to build momentum and also did the basics right such as holding on to catches at crucial times. Contrast that with what happened in the Asia Cup where the main players I mentioned before did not perform that well barring some exceptional innings from Shoaib Malik, and that made life very difficult for us. In a way, this could be a blessing in disguise as low points like these are very useful in helping us learn from our shortcomings and that could help us perform better in the future. One huge positive from the Asia Cup was the very impressive performances which we saw from Shaheen Shah Afridi. He has the skills, is full of energy and is eager to learn and we saw the improvements he made when we introduced him into ODIs after his success in T20Is during the tri-series against Zimbabwe and Australia. It’s also great news for us that we are getting such excellent cricketers coming through our system and I am sure Shaheen has a bright future ahead of him in international cricket. Mohammad Amir has been struggling a bit since his return and fatigue could be a reason for that. Regardless of other factors, the fact is that there has been a lot of pressure on Amir in recent times. Because he has that wicket-taking ability, almost everyone seems to think that Amir is the key bowler in our team. But, he is not taking wickets and that pressure to perform is creating issues for him. This is then causing some self-doubts on his own ability which is why him not playing in the next series against Australia will give him that much-needed break from this high pressure. He can now go back to domestic cricket in a relaxed frame of mind and work on some technical issues such as his wrist position. In addition, as you may have seen, he has started to stop before he delivers the ball which is a problem. But, now he has a good opportunity to fix the issues we have highlighted when he goes back to domestic cricket. We have told him exactly what he needs to do to remedy his problems and he will work on fixing the issues when he plays in domestic cricket and I believe he will come back to international cricket as a better bowler. We have a tough 2-match Test series coming up against Australia, but we are well prepared with a very mature batting line-up which features the likes of Asad Shafiq and Azhar Ali. Whilst in the Asia Cup we spoke about an inexperienced batting side, the situation in Tests for Pakistan is completely different. We are also lucky to have Yasir Shah back in the fold who has performed very well for Pakistan in the past in UAE conditions. Of course, he has been an important factor in our successes outside the UAE as well and he will be a very important asset for Pakistan in the series against Australia. As for Australia, they have been in the UAE for a few weeks and have also played a tour game against Pakistan ‘A’ so their preparations are top notch and should provide a stern test for the home-side. From a Pakistan point of view, we will hope that whatever lessons we have learnt from our mistakes in recent times will be put in practice during the upcoming matches and we will be able to get good results from the Test series. Last edited by Abdullah719; 6th October 2018 at 02:12. I dont buy this pressure excuse. There was no real pressure in the 1st game vs India. They just got hit hard by an inspired Indian team and came short. They just couldnt go to the higher gears. Hasan for example was bowling all over the place and needed. This sort of beating. Needs to chill down a bit. They were shell-shocked by that defeat I feel. Not every time can you go on an inspirational run like the CT. He is vastly overrated. Not half as good as most Pak fans make him out to be. We've been hearing about the same issues for the last year at least and nothing has changed. If anything they have gotten worse. Is there any other way to lose a match other than unable to deal with pressure or not performing well.? During the Asia cup India was the better team. They had more hunger to win. Pak was just going through the motions which was sad to see. This pressure story is just wel.. Fact is a guy like Hasan Ali starts acting as if he is Waqar younis but his bowling was rubbish. He needs to get his focus back on cricket. You cant just show up and expect to beat india. Azhar needs to stop talking about Amir. He should focus on other bowlers. Amir is old enough to know what his priorities should be. Yes there is. Could lose an important player during the match to injury. Hopefully Amir won't be asking for rest again. That happens when you stop enjoying what you do. Wanted to hear his views on Junaid Khan and his return and the reason why he is not being utilized in Tests in UAE. When you look at Junaid's stats, he is pretty brilliant on the first day of Tests if he is bowling. Something we lacked hugely in the last UAE Test series last year against SL. Interested to see how this works out. Will he come back with the same fire as 18 year old Amir? Hopefully him being dropped will be a kick up the back. Hope he comes back fired up. Yeah wouldn't it be better if he says Amir needs to do this, this, this and that and come back as a better bowler rather than passing judgment that Amir will come back as a supremo. Amir has played enough cricket since his come back from ban to prove his worth. We all know Amir failed badly and the sooner we let go of this Amir romance the better. At the moment the world is talking about Mohammad Amir and who best to ask about him than his national bowling coach. I am seriously bored of Azhar Mehmood's views on Amir. It seems like the world starts with Amir and ends on Amir. If next time he has been asked the question on Amir he should just dodge the question rather than making some fresh new claim. Simple suggestion to you - don't read them. Mir Hamza and Sadaf should get chance to show their skills. There was no logic behind Wahab Riaz playing but Hasan Ali, Juniad, and Amir are sitting. Wahab will never learn. Rightly so. Needs to be given the message that he is not as good as hyped to be and that he is going to be treated at par with all the other bowlers and will have to earn his spot back in the team. Agreed. He can learn a lot in domestics. If he has any amount of drive left in him, he should be looking to outdo Mohammad Abbas or the distance between both will grow exponentially. Infact now he is in competition with Mir Hamza. @MenInG so what are his stats since returning to domestic cricket ? All batmen look like tail-enders compare to watching international batsmen. They are making batting look so hard. Consistently among the wickets. I'd love to see him bowling well again. Dont forget those wickets are not kholi or even Sharma! Everybody knew he will take bucket loads of wickets but is the swing back? those are the questions selectors need to ask before selecting him again. If they dropped him because of his apparent technical issues with his action then that must be sorted first. I never said they were. But it's better than no wickets. Last I checked, Kohli wasn't playing Pakistan domestics so he'll just have to settle for trying to dismiss whoever they put in front of him. Yes, he hasn't been the same lately, apart from that flash at CT finals. I hope he gets it back. Its better than no wickets but I assumed you wanted him to come back and take the wickets of kholi and sharma's in which case selectors must decide if he has sorted out his technical issues and swing is definitely back permanently. And yes Kholi doesnt play in Pakistan domestic set up so if you wanted Amir to not bother about kholi then he is safe there. Keep him away until he regains his form back. I honestly believe Amir should reach out to Waqar Younis to help him with his bowling. Waqar was the coach in 2010 and he would know exactly where Amir is going wrong. 14-3-40-0 today in the Quaid-e-Azam Trophy. Amir is included in the South Africa Test squad. Lets see how much he has improved in SA series. 4.2 overs, 1 run and 1 wicket - I would say he is back. Don't want to say I told you so...but I told you so... I had a feeling him being dropped would be a kick up his backside and I hope he can wrap up SA tomorrow. Good line and length by Amir. Hopefully he keeps this up. Done well in South Africa - 4 wickets in the 1st innings. Getting his late inswing back. Just needs to work on his fitness to maintain his bowling speed above 135+. Amir has done well. Definitely has a role in this team. He is averaging 21in his last 2 series so needs to be a cog in our team. but he needs to get fitter and stronger. Still looks wirey. Been lots of talk about Mohammad Amir lately. The biggest problem with Amir is his lack of wicket-taking threat with the new ball. Even in SENA countries where you'd think Amir would be more effective, he averages 59 with the new ball in the last three years. I understand why Amir gets flak as he's tagged the leader of the attack. However, the quality of Pakistan's new ball bowling has been a problem for some time, and it's partly down to playing so much cricket in the UAE where we wait until the ball gets old and begins reversing. It's also down to the woeful standard of pitches in the Quaid-e-Azam Trophy where seamers can let the conditions do the work for them. I would also venture to argue that the disparity between our Test record in England, and in the Southern Hemisphere countries of Australia, New Zealand and South Africa is to do with our bowlers finding it easier bowling with the Dukes than the Kookaburra. I'm no fan of the red Kookaburra but if that's the ball being used in the majority of Test playing nations - we need our bowlers in domestic to learn how to be effective with it. It was only recently (2-3 years ago I think) when Pakistan switched from a poor quality Grays ball to the Kookaburra. I would like to see all test playing nations adopt the Duke ball (except for SA with their bowling friendly pitches) because it will help restore the balance between batting and bowling as well enhance the standards of defensive batting particularly against the new ball. We are very successful in NZ. Yes we lost in 2016 but we destroyed them in the 2010/11 Tests. Amir should come on as first change on merit, just wastes the new ball. Needs to improve his fitness. The rhythm is getting back. He is still good. May not the best same as he used to be. He is still looking good especially when he is able to bring the ball back into the righties he can be a handful. Definitely not a passenger. Handy bowler and a batsman. He is an automatic pick for Pakistan in my view. He still is not good enough yet. Seems to get worse and worse with every match. Time to bring in Arshad Iqbal and Musa Khan who can atleast bowl with heart . This Amir has lost his will. This guy should be booted out the side. An attack of Hasan, Shaheen and Junaid is the way to go. If only the PCB had backed Asif from 2015 onwards like they have Amir, atleast Asif could have performed for the country. Is it time for Mohammad Amir to be dropped for good? It is so sad to see somebody who has/had so much potential, going downwards like this. Once the leader of our pace-attack, now not even the opening bowler of the team. Once he could swing the ball, now he is bowling cross-seamers in his opening-spell. Once a 140+ km bowler, now he hardly hits 138 km/h. Once an attacking bowler, now he hardly hits the wicket-taking line. Amir needs to go and reasses his bowling. Hopefully he will come back as a better bowler. You don't drop your leader of attack. Didn't he go after Asia Cup thrashing and got back into the team as a better bowler already? Time's up. Should be axed from all 3 formats. I was his biggest fan on PP but he has to go now. He is very poor now. His overall ODI average has now dipped past 30 as well. To be honest, he was never that great to begin with. The England 2010 series was played on the most bowling friendly pitches ever to be seen, even RP Singh looked devastating there in 2007. The ultimate hallmark and quality of a player is when he consistently delivers performances for a long period of time and eventually the opposition players were going to take a deeper look at Amir and find ways to neutralize him i.e. Rohit Sharma changing his batting stance to deal with the inswinger. Amir is just a classic example of a Pakistani player who just relies on his natural gifts to get by but doesn't put in the hard work and hard yard to truly become great i.e. complaining about work load, bowling at 127-130 km/hr on favorable bowling pitches. It is ridiculous how the bowlers who represented Pakistan from 2010 to 2015 have been shafted aside for this over rated waste of space. Had those bowlers consistently played and been given that much backing by the PCB, god knows what they could have achieved. He was our best bowler in the Test series and has been for a year now overseas, he is a excellent T20I bowler in every way. It's only in ODIs he has been struggling to take wickets but still is economical and can be good at the death overs. He won't improve by going anywhere, rather his pace decreased a little after he went to domestic cricket. I remember him bowling 145+ in CT Final and also in T20I cricket before this series but don't why he didn't bowled full tilt in this ODI series. In the Test series, he is good enough to remain and in T20's. He can remain economical in T20's and that is what you need to be in T20s, but let's see how he does in the SA series and PSL. I know Amir has been poor in ODI cricket since Champions Trophy but Hasan has also been poor against every Top team and is not criticized a single bit. Hasan Ali Averages 53 Eco 5.92 whereas Amir's economy is 5 with a higher average albeit. Not only Economical he is a wicket taker in T20Is, he averages 19.8 in T20I. He took 3 wickets in the final against Australia in Zimbabwe last year. He was Man of the series in NZ, he averages 4 with the ball in Pakistan and he has been deprived of playing here. Ummm Hasan has been criticised and there’s an entire thread on it. Hasan won us the first ODI with his first spell, where I believe he bowled 4 overs and only conceded 8 runs or so. Anyone who actually watched the series knows that Hasan was one our better bowlers. You can add minnows to Amir’s post CT stats and he’ll still average 50+, and his failures have not been limited to the post CT period- he was bang mediocre prior to that as well. He's not the worst player in the team atm. I still think he should go to the WC and play some big matches there. That should be his last chance for now. Amir gets the biggest support from the coach, as such he's still in the team.He's now a very mediocre bowler, unfortunately its too late to find a replacement. Yep, he did nothing to gain selection again. Pcb being idiots as usual.